"Are you going to let me die alone?" 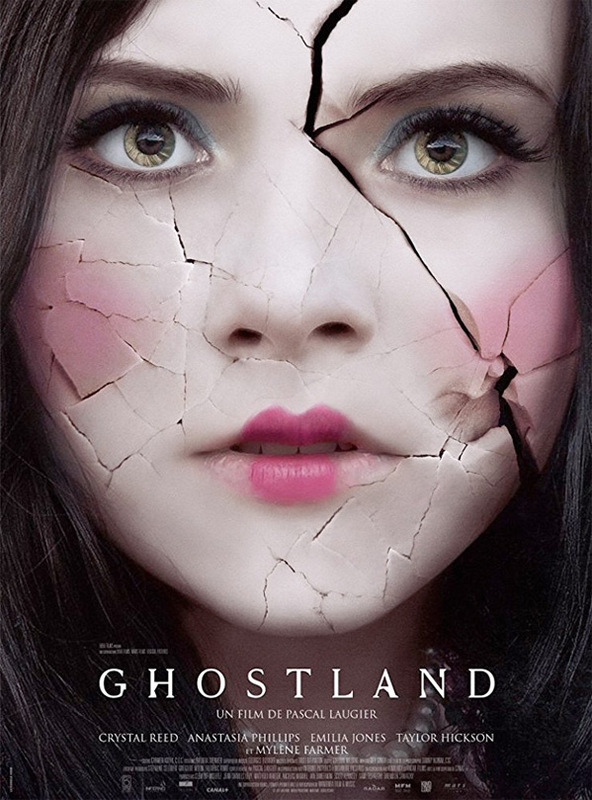 The official French trailer has debuted for the latest horror film from French director Pascal Laugier (Martyrs), titled Ghostland or also Incident in a Ghost Land. The story is about a house where a woman had to fend off intruders to save her daughters. Years later, the two of them grow up with completely different personalities, still traumatized by the events. When they all reunite at the house once again, strange events began to occur. I like the tagline on the second poster: "you really thought you've been scared before?" Oh damn. The horror film stars Crystal Reed, Taylor Hickson, Rob Archer, Emilia Jones, Adam Hurtig, Anastasia Phillips, Mylène Farmer, and Alicia Johnston. The film opens first in France, then should hit US theaters sometime in the spring. Take a peek if you dare. Following the death of her aunt, Pauline and her two daughters inherit a house. But the first night, murderers enter the house and Pauline must fight to save her daughters. A drama that will traumatize the whole family but especially affect differently each of the girls whose personalities will diverge further after this nightmarish night. While Beth becomes a renowned author specializing in horror literature, Vera gets bogged down in destructive paranoia. Sixteen years later, the family is reunited again in the house that Vera and Pauline never left. 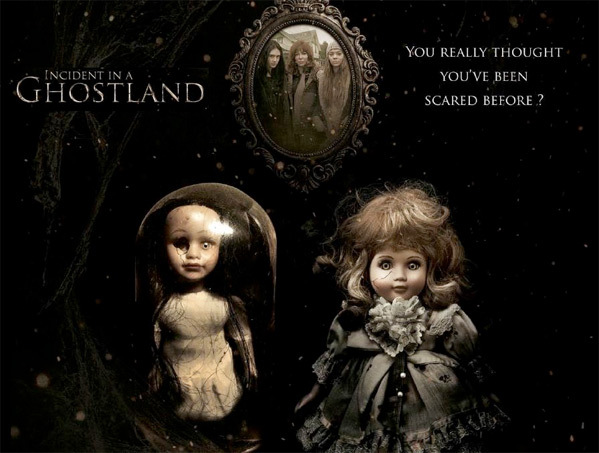 Strange events will then begin to occur… Ghostland, also known as Incident in a Ghost Land, is both written and directed by French horror filmmaker Pascal Laugier, of the films Saint Ange, Martyrs, and The Tall Man previously. The film opens in theaters first in France this March. Ghostland then opens in US theaters sometime in April 2018. Stay tuned for more. Your thoughts?